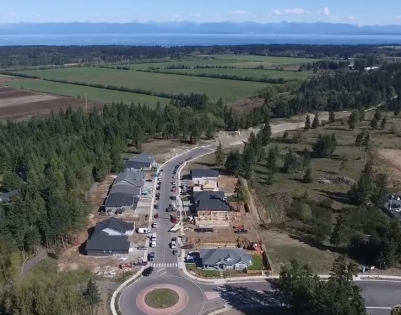 The Crown Isle Resort and Golf Community is continuing to develop more subdivisions to meet growing demand for new homes in the Comox Valley. They are currently working on three new projects, with preliminary layout review now awaiting approval from the City of Courtenay. Crown Isle is looking to complete the Crown Isle Drive extension, add estate lots along the Fairway between holes 14 and 15, and develop further phases for The RISE. In the meantime, local custom home builders have reserved most lots in current and upcoming subdivisions and are ready to help home owners build the custom home of their dreams! While demand is high, there are still plenty of options to choose your lot, builder and home style within the Crown Isle Community. Sometimes the best information about a real estate development comes from those who actually live there. At The Gales - an ocean view condo and patio home development in Ladysmith - the residents really describe it best. "We found ‘The Gales’ after years of looking, Our visitors tell us we have a “Million Dollar View” and we agree. 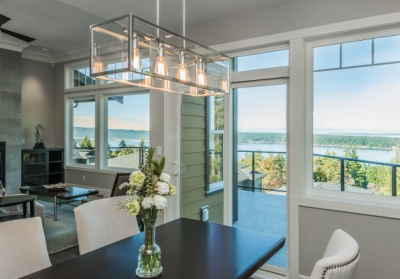 The hilltop terrace design gives us a beautiful panoramic view overlooking Ladysmith Harbour and the nearby islands, with the scenic Coastal Mountains in the background. This is special to us because the Northward orientation allows us to see ever-changing scenes painted in morning sunrise colors, which transition to evening sunset glows. We are even treated to beautiful night time views, which are enhanced by the path of the moon as it arcs across the ocean. The distant glow of clouds over Vancouver, combine with the twinkle of lights from houses across the harbour and from vessels underway, to create interesting evening settings. "We never tire of watching the world go by from our bedroom, kitchen, dining or living room windows. You never know what you may see from resident eagles, to killer whales visiting the harbour. All of these scenes are beautifully framed in large picture windows in rooms with soaring ceilings. The skylight in the kitchen adds to the bright open atmosphere in a great layout. "There is so much to do in our small town, and on the island. We are also within a short commuting distance of two major city centres. We feel very lucky to call this wonderful place home." While in many parts of Canada spring still feels a long way off, at The Ridge in Courtenay on Vancouver Island spring has sprung! Bulbs and trees are blooming, hiking trails are waiting and golf courses are open. This time of year, you can also enjoy skiing in the morning or launch a kayak from the beach or boat launch or just go for a pleasant walk on one of the many sandy beaches. Vancouver Island is famous as a year-round destination for enjoying the great outdoors. One of the key attractions to this area is the many golf courses. In the middle of the action, is the City of Courtenay, in the Comox Valley. 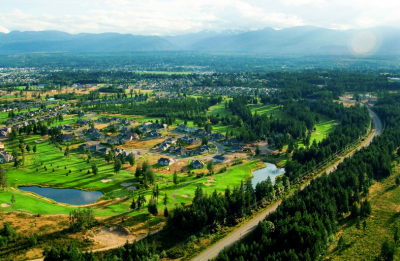 The new residential development, The Ridge, has more than 10 golf courses within a 75 km/50 mile radius. Select your new building lot at The Ridge complete with ocean and/or mountain views, and play a round, year-round! With housing prices continuing to climb out of reach of homeowners in major urban centres like Vancouver and Toronto, smaller communities across the country and especially on Vancouver Island are seeing boomers, retirees and also young families relocating to realize their dreams of owning a home. They are also seeking a place where year-round outdoor activities including beach walks, golf, hiking, skiing, water sports, and fishing can all be enjoyed as part of living in a vibrant community. 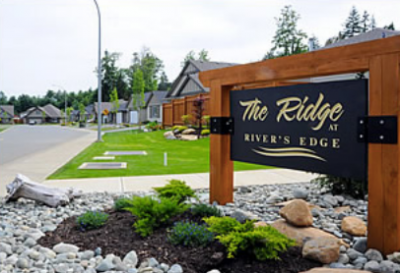 The new residential community The Ridge in the Comox Valley offers all of this and more. “People want a back yard, a driveway and a stand-alone home so they can have the space for their families,” Christopher Alexander, regional director at ReMax Canada told the Canadian Press. Smaller cities mean shorter commutes and more space, and still offer plenty of amenities. 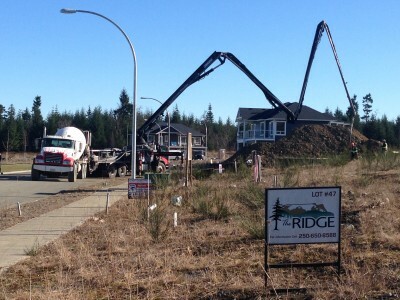 The Ridge is located in the city of Courtenay, close to shopping, schools, and recreation. Is it time to leave your big city condo behind and swap it for your custom built home with a view? 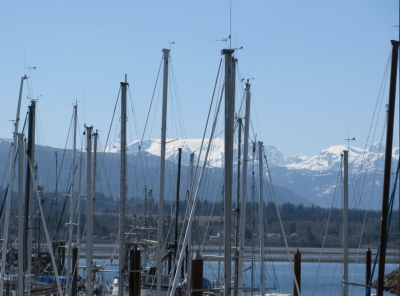 Imagine looking out at the Comox Marina and the Coastal Mountain range to the east, watching the sun rise from your new home, or sitting on your back deck, watching the sun set behind the Comox Glacier. While much the rest of the country is battling snowfalls and freezing temperatures, residents at The Gales are ready to welcome spring by strolling nearby beaches and neighbourhood forest trails. 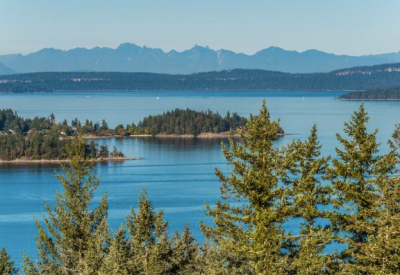 Set on the coast of Vancouver Island, in one of Canada's most temperate climates The Gales is an ocean view, 68 condo and patio home development, featuring luxury villa-style living. Curved streets, cul-de-sacs and manicured landscaping help build a sense of community here. Walkways meander throughout the development and where they pass between residences privacy has been retained via the use of arbours and trellises. With grounds-keeping included at The Gales, you'll enjoy freedom from yard and maintenance work, leaving more time to enjoy everything that this Island lifestyle has to offer. The architectural style is West Coast Contemporary, with warm earth tones and a variety of darker tones to complement the coastal landscape. More than beautiful ocean and mountain views, this luxury neighbourhood includes mature trees and rock outcroppings. The natural surroundings include forest, hiking paths, a mountain stream, and wildlife. Apart from city life, yet close. Enjoy the small town living of Ladysmith, and quick access to larger cities, including Nanaimo and Victoria. 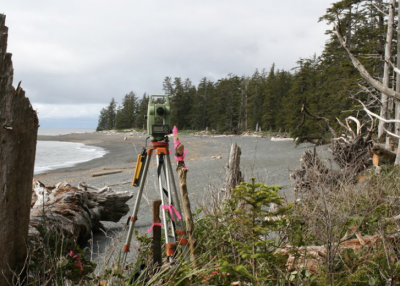 Chicalo Burridge Land Surveying and Geomatics Ltd. was established in 2001, and offers professional surveying services and geomatic engineering on northern Vancouver Island, the Gulf Islands and mainland British Columbia. Chicalo Burridge Land Surveying and Geomatics Ltd. offers a variety of services including legal surveys for subdivision and strata developments, easements, right of ways, covenants, re-establishing lot corner pins, topographic surveys to support architectural design for new construction, lay out surveys for new construction and engineering infrastructure, building location certificates to support real estate transactions and municipal requirements, ALTA/ACSM surveys for American clients, GPS surveys for mapping projects and hydrographic surveys to support marina design. Consulting services are also offered for Agricultural Land Reserve, re-zoning, subdivision and Crown Land tenure applications. The firm is also licensed to perform Canada Land Surveys on First Nations Lands. Southwind Development Corporation is moving ahead with Phase IV of the The Ridge at RiversEdge, a pre-planned residential development. They have made an application for preliminary layout approval to build a 20-lot subdivision on this 5.24 acre site in West Courtenay. Some site preparation has been completed and lot servicing will commence in early 2017.